Hi! I'm Mark Walter. I'm a member of the New Zealand Professional Fishing Guides Association, with 30 years experience "stalking" Brown and Rainbow Trout. 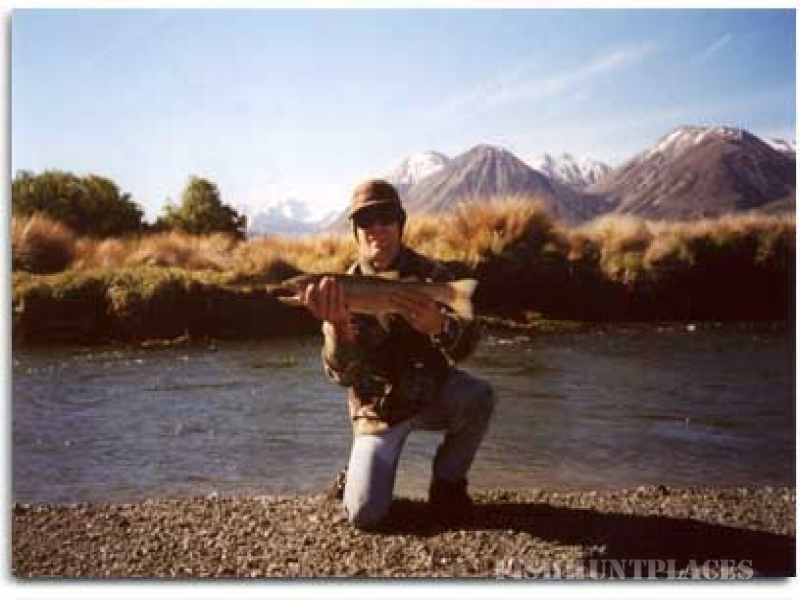 As a "roving" South Island fishing guide I can take you (and 2 mates max) to all the best rivers, spring creeks, feeder streams, burns, lakes and tarns the South Island has to offer. As a roving guide, I can provide my client with a multi-day fishing experience in a region or regions where the fishing, weather and water conditions are the most favourable at that time. All regions are an easy drive from each other (as the map indicates) and there is nonstop fishing between all of them. The South Island has over 300 rivers and over 100 lakes to choose from. I practice "catch and release" on most trout waters. My tours range in duration from half day to 14 days and cover the breadth and width of the South Island.